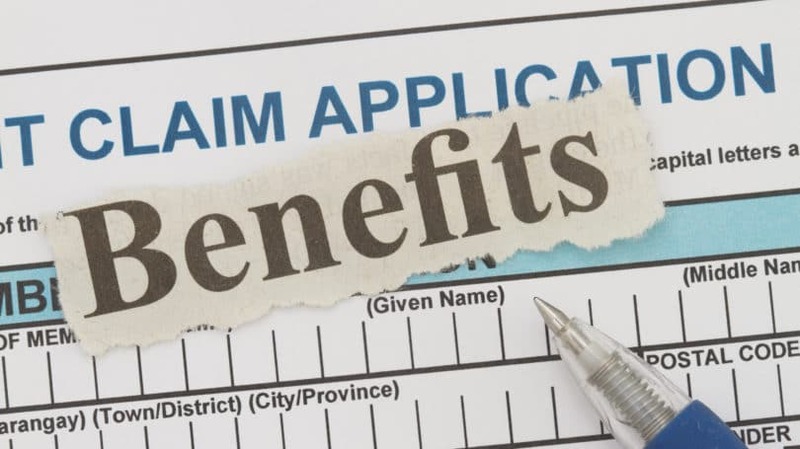 In 2004, Social Security benefits were projected to account for 40% of a baby boomer’s post-retirement family income, and almost all baby boomer retirees were expected to receive benefits, according to a Social Security Administration study. But Dean Baker, co-director of the Center for Economic and Policy Research, thinks those projections were conservative. Today, according to Baker, Social Security payments account for 90% of income for one-third of all seniors and more than 50% for two-thirds of them. For unmarried seniors, the dependence upon Social Security is even greater, accounting for almost three-quarters of their income. Generally speaking, the amount of Social Security you receive is based upon your total lifetime earnings that were subject to Social Security taxes – as of 2014, maximum taxable earnings stand at $117,000 per year. In other words, the more money you make over an extended period, the more you receive when you begin withdrawing. The specific dollar benefit paid to a beneficiary is the result of an SSA calculation, based upon that person’s top 35 years of earnings, adjusted for inflation. It is further affected by the age at which you begin receiving benefits. In 2014, according to the Social Security Administration, the maximum payment for an individual who begins claiming at full retirement age is $2,642 per month. For help estimating your future benefits – as well as verifying your earnings each year – the SSA provides a useful online resource. Many of the criteria that determine the amount you receive, however, are actually within your control. 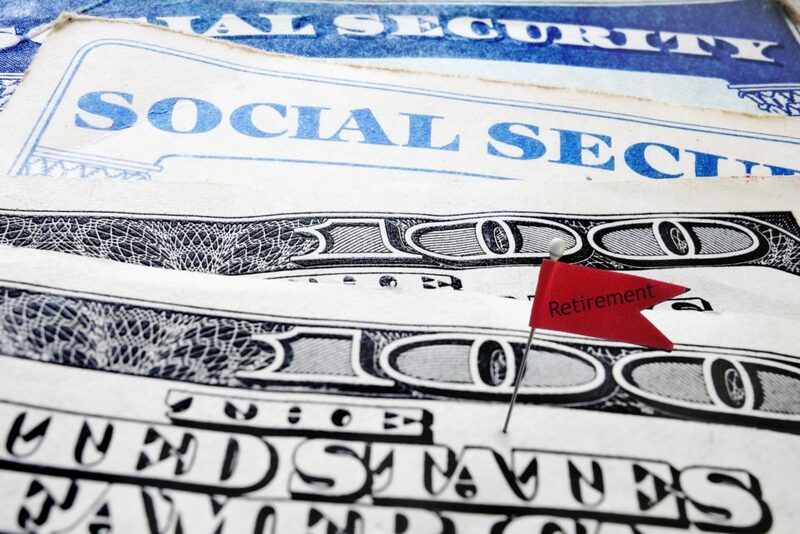 There are several options for when you can start withdrawing your Social Security benefits. The original Social Security program established a normal retirement age of 65, at which people could begin receiving benefits. In 1983, Congress passed Social Security amendments to gradually raise that age to 67, depending upon one’s birthday – anyone born in or after 1960 must reach that age before collecting full benefits. The program offers an early retirement withdrawal option beginning the month after turning 62, provided that you have a minimum of 40 credits of work – in 2014, one credit is earned for each $1,200 of earnings annually, up to four credits per year. The dollar amount each credit is worth adjusts annually based on average earning levels. Up to 36 Months Early: Payment amount is reduced five-ninths of 1% (0.00555) for each month prior to your regular retirement age. For example, a person who would be entitled to a $1,000 monthly benefit at regular retirement age would receive $933 if retiring 12 months early: $1,000 – ($1,000 x 12 x 0.00555). Between 37 Months and 60 Months Early: In addition to the above, benefits would be further reduced by five-twelfths of 1% (0.00417) for each month in excess of 36. Accordingly, a person entitled to a $1,000 monthly benefit, but taking payments 48 months prior to regular retirement age, would receive $750: $1,000 – (0.00555 x 36 x 1,000) – (12 x 0.00417 x 1,000). Years Prior to Reaching Regular Retirement Age: Benefits are reduced by $1 for every $2 of earned income in excess of $15,480, as of 2014, until you reach regular retirement age. For example, if you elect to take early Social Security benefits in 2014, but have $30,000 in earned income for the year, your 2014 benefit would be reduced $7,260: ($30,000 – $15,480) / $2. Year of Reaching Regular Retirement Age: In the year you actually reach regular retirement age, the penalty is reduced so that you lose $1 for every $3 earned over the limit. For example, if you elect to take early retirement benefits and have $30,000 in earned income the year you reach your regular retirement age, your Social Security benefit for that year is only reduced $4,840: ($30,0000 – $15,480) / $3. Years After Reaching Regular Retirement Age: There are no limits on outside earnings once you have reached regular retirement age. Your Social Security benefit is not reduced, regardless of your earned income. If your payments are reduced due to earned income prior to regular retirement age, the Social Security Administration recalculates your benefit amount at your regular retirement age, leaving out those months where excess earnings were previously deducted. As a consequence of this recalculation, you may recapture the deducted amounts in the form of a higher monthly benefit over the remainder of your life. 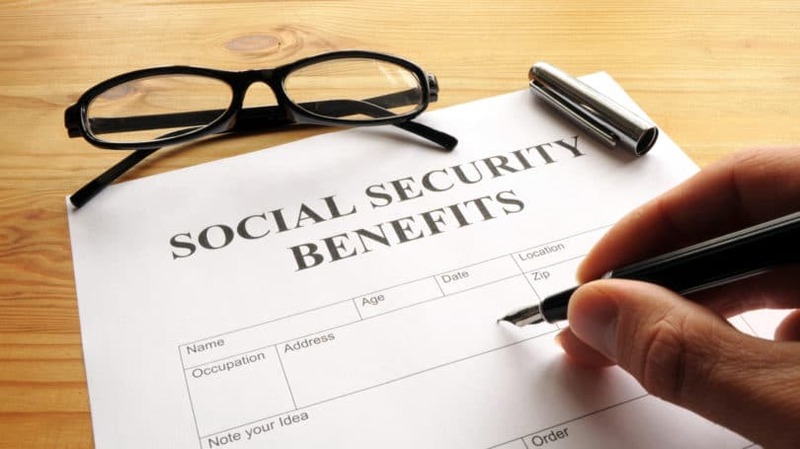 Nevertheless, people who anticipate working until their regular retirement age and earning significantly more than $15,480 during those working years should rarely consider taking Social Security benefits early. Just as some people elect to take Social Security benefits early, others decide to delay payments past their regular retirement years. For each month that you hold off beyond your regular retirement age, your monthly benefit increases one-twelfth of 8% (0.0067). For example, if you were born in 1943 or later and delay a $1,000 monthly payment for three years, your benefit would increase to $1,241: $1,000 + ($1,000 x 36 x 0.0067). If you and your spouse have taxable income of more than $34,000, one-half of your Social Security benefit is subject to taxation. If your earnings are greater than $44,000, 85% of your benefit is subject to taxation. For this reason, it’s best to delay taking Social Security benefits until you stop working and your taxable income reduces, thereby reducing the amount your Social Security benefits are taxed. Since calculating these taxes is a complicated task, IRS Publication 915 has instructions and worksheets that can make the process easier. Projected Benefit Amounts. The earlier you begin taking payments, the more your benefits are reduced. Conversely, the longer you delay, the greater the eventual amount. A person entitled to a $1,000 monthly payment at age 67 would receive $702 at age 62, or $1,240 at age 70. Determine how your benefit is affected based on your plans for retirement. Number of Payments Expected. According to the Social Security mortality tables, a male has a remaining life expectancy of 19.81 years at age 62, 16.84 years at age 66, and 14.07 years at age 70. If a man elects early withdrawal at age 62 (and his full benefit is $1,000), he will receive total payments of $167,076 ($702 x 238). At age 66, his total payments will be $202,000 ($1,000 x 202), and at age 70 they will be $209,560 ($1,240 x 169). If you think you may live past 82, you should delay benefits until age 70. Deferral is even more beneficial if you have a spouse who is likely to outlive you. Taxation Considerations and IRA and 401k Withdrawals. Consider your other income sources when determining if (and if so, how much) your Social Security benefits will be taxed. For example, withdrawals from traditional IRAs and 401k plans are taxable, which means they may not only reduce your monthly benefit – if you elect to take it early – but could also result in taxation of those benefits. Deferring distributions from traditional IRAs and 401ks until your regular retirement age is one way to limit external income and avoid a reduction of Social Security payments. You may want to consider transferring your traditional retirement accounts into equivalent Roth accounts. There’s no penalty for doing so, but you are required to pay income tax on the transferred funds. The benefit of the Roth is that withdrawals are not taxed – which may eliminate the eventual tax bite on your Social Security payments. Before taking steps toward conversion, seek competent tax advice to see if it can minimize your future tax burden, as well as the taxes you would owe in the year of the conversion. Married couples have additional options, whether both spouses work or only one does. According to the Social Security Administration, you are entitled to receive 50% of your spouse’s benefit (at regular retirement age) for as long as your spouse lives. If Bill is entitled to receive $1,000 per month at age 66, his spouse, Mary, is entitled a benefit of $500, even if she has never worked or paid Social Security taxes. Mary can begin receiving payments as early as age 62 (subject to the same dollar deductions for early withdrawal). The couple’s combined income would be $1,500 monthly: $1,000 for Bill + $500 for Mary. Spouses are eligible for their payments even if the primary earners delay their own benefits – as long as the primary earner applies for Social Security. For example, Bill at age 66 (his regular retirement age) could apply for Social Security, but defer his own benefit. At the same time, however, Mary can elect to take her spousal benefit ($500 per month at her regular retirement age). When Bill reaches age 70, because he deferred his benefit, it increased. He receives a $1,240 monthly benefit while Mary continues to receive $500. When both partners are entitled to Social Security payments, it is possible to maximize total benefits under the little-known “restricted application for spousal benefits.” The process consists of applying for a spousal benefit for one partner while delaying benefits for the other. Without Restricted Application: Tom is 66 and his wife Jane is 62 when they elect to begin their Social Security retirement benefits. Each is entitled to $2,000 at their regular retirement ages, so Tom receives $2,000 per month (since he is at his regular retirement age) and Jane receives $1,500 per month (since she is withdrawing early). Their total monthly benefit as long as they both live is $3,500 per month, or $42,000 annually. With Restricted Application: Though entitled to a $2,000 payment at her regular retirement age, Jane claims an early benefit of $1,500 (not a spousal benefit). Tom elects to delay his own retirement benefits until age 70, but takes his spousal benefit on Jane’s regular $2,000 payment – since he has reached regular retirement age, he is entitled to 50% of it. As a result, their combined monthly income is $2,500 ($30,000 per year): $1,500 for Jane + $1,000 for Tom. That’s $12,000 less than they would have received without the restricted application ($42,000). However, four years later, Tom switches from his spousal benefit to his own account where he receives increased distributions since he waited until age 70. As a consequence of this deferral, his regular benefit of $2,000 increases to $2,640. Tom and Jane’s combined Social Security benefit at that point is $4,140 per month ($49,680 annually): Tom’s benefit of $2,640 per month + Jane’s benefit of $1,500. Comparison of Economic Benefits With and Without the Restricted Application: The $12,000 difference in annual benefits before Tom elects to take his own distributions adds up to $48,000 for the four-year period. However, in year five and all future years Tom and Jane are alive, their annual income is $49,680, an increase of $7,680 from the $42,000 they would have received had they not elected to use the restricted application. The decision whether to use the restricted application depends upon the length of time those higher payments are likely to be received. The couple would need to receive the higher distribution amount for approximately 6.25 years to make up for their lower benefits during the first four years. If Tom survives past age 77 and Jane past age 73, they come out on top using the restricted application. There is no universally optimum time to begin taking benefits. These decisions should be considered along with analysis of other retirement benefits, the gender, health, and ages of the beneficiary and spouse, and the possibility of changes to Social Security rules and income tax code. Unfortunately, many retirees overlook the various options and strategies within their control and consequently fail to maximize their benefits. If you’re not sure what your best route is, seek the advice of a qualified tax and benefit counselor. The right strategy can add thousands of dollars to your retirement security. The Social Security program has been the subject of increasing political discussion over the past several years as the economy has failed to improve in certain areas and the national debt continues to climb. Since the costs of Social Security and Medicare account for a growing percentage of federal expenditures, it is possible (if not likely) that the programs will end up undergoing significant modifications. Raising Full Retirement Age. Proposals call for raising the regular retirement age from 67 to 68 or 70. Either change would make the Social Security program more financially secure, but reduce benefits significantly for low- and middle-income workers whose longevity has not necessarily increased like that of highly paid workers. Changes in Maximum Income Subject to Payroll Tax. Social Security is funded through employee and employer taxes, and calculated based on taxable earnings up to a maximum income of $117,000 in 2014. Eliminating the cap on the amount of earnings subject to the Social Security tax – by either extending the tax to cover 90% of earned income as proposed by the AARP, or eliminating the maximum salary cap altogether – would increase Social Security revenues, thus strengthening the program. New Taxes for Employers and Beneficiaries. According to proponents, increasing the existing payroll tax rate of 6.2% to 7.2% for employees and employers alike would eliminate almost two-thirds of the projected future income gap. 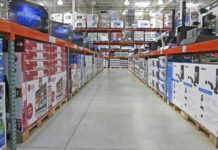 On the other hand, some economists claim that any increased cost of labor will accelerate the transfer of work to machines and automation, thereby eliminating jobs – especially in the lower-skill ranks. Additional modifications to Social Security – proposed by conservative politicians – include the addition of equity funds as an investment option and the total privatization of the Social Security program. Despite the lack of significant change to Social Security in recent years, there is widespread agreement among politicians on both sides of the aisle that the existing system is broken. Without modification, it’s unlikely that future beneficiaries will have the same financial security as their parents. As a consequence, the questions about Social Security are not whether it will change, but when and how. While the combination of multiple international and domestic crises and virtual deadlock between political parties make any near-term Social Security reforms unlikely, current and future beneficiaries should monitor any proposal that has the potential to change the program – and the benefits they are likely to receive upon retirement. Understanding your options and staying abreast of looming modifications can help you maximize the benefits you get both now and in the future.